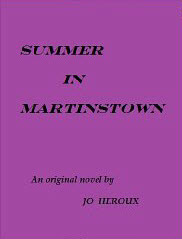 Summer in Martinstown by Jo Heroux follows the lives of the Brady family, Madeline and Matthew Brady, daughter Chloe, and sons Johnny and Jimmie through one incredible, life-changing summer. The detail to dialog ratio is high. I had not expected this. At first I was a bit overwhelmed and almost off put by the descriptions, but then I realized that reading a book in an audio format is far different than reading it visually. I was hearing the details in order to capture the visualizations instead of reading (seeing) the words. For me, I don't necessarily have to read every word to get the picture, but in this audio format, I really did need to hear every word, every detail, line by line, in order to get the visualization that I usually see in my mind's eye.I have to wonder if she wrote this book with this in mind, because I don't think that, for me personally, the story would have been as vivid had she'd chosen to write with less description. I must commend Ms. Heroux for her ability to entice the reader into thinking they knew when the pivotal moment was going to happen. 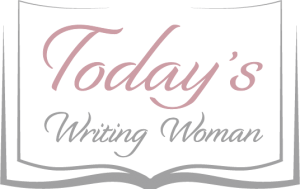 She even had me sitting on the edge of my seat, and although I think the story would have been interesting if it had gone that way, when "the" moment did happen, I was not expecting it. In fact, I was stunned! But somehow as I continued to listen, it made sense for it to unfold this way. I won't give away the story, but I will say that, to me, Summer in Martinstown is about a family who has it pretty good, but then is dealt a serious blow that for some would be enough to send them over the edge. And although, it would seem that way, "going over the edge" was far from what the book did. Rather, it took a sharp curve and headed in a new, hopeful and exciting direction for the family. I hope that somewhere down the road Ms. Heroux decides to build upon the characters that she developed here in this charming community of Martinstown. I, for one, will be back to visit if that ever happens. In the meantime, read this one...you won't be disappointed!